Wolterton Hall was built by Horatio Walpole, brother of Sir Robert, our first Prime Minister. Inspired by Palladio, Thomas Ripley the architect produced an exceptional house of great originality and style. it’s impossible to see the joins. It features Horatio and his wife Mary Magdalen with their eight children. The stillborn infants are represented by cherubs. As Britain’s first Prime Minister, Sir Robert seems to have had unlimited access to funds and his brother seems to have done rather well in building Wolterton Hall which is more modest in scale though still a very substantial stately home. The Walpoles had been established in north Norfolk as landed gentry from the 14th century. Horatio decided to purchase Wolterton to build himself a grand house. Horatio bought an existing house at Wolterton but after the work had begun, it burnt down. His architect, Thomas Ripley, was already working on Houghton Hall, persuaded him to start again with a house inspired by Andrea Palladio, who had revived the classical buildings of Ancient Greece. Work began in earnest in 1727 and the hall was completed in 1742. Having been ambassador in Paris and the Hague and a member of Parliament and an active government minister, Horatio built a strong relationship with Cardinal Fleury, Louis XIV’s foreign minister, which resulted in a peaceful relationship with France, on which Britain’s prosperity was built. Cardinal Fleury gave Horatio the fine tapestries which still adorn the state rooms at Wolterton. Wolterton is one of the four ‘Power Houses’ of North Norfolk along with Houghton Hall, Holkham Hall (built by the Coke family) and the Townshends at East Raynham. His nephew, Horace Walpole the great writer, stylist and aesthete of the 18th century who built Strawberry Hill, admired Wolterton. At the beginning of the nineteenth century the Palladian steps which ascended to the Marble Hall were replaced by a porte corchere. In 1828 George Repton, son of Humphrey Repton the great landscape designer, built on the East Wing and added the Portland stone steps and balcony to the south facade. The Walpoles had become Earls of Orford and continued to live at Wolterton until the mid-nineteenth century when they moved to Mannington Hall, three miles away. 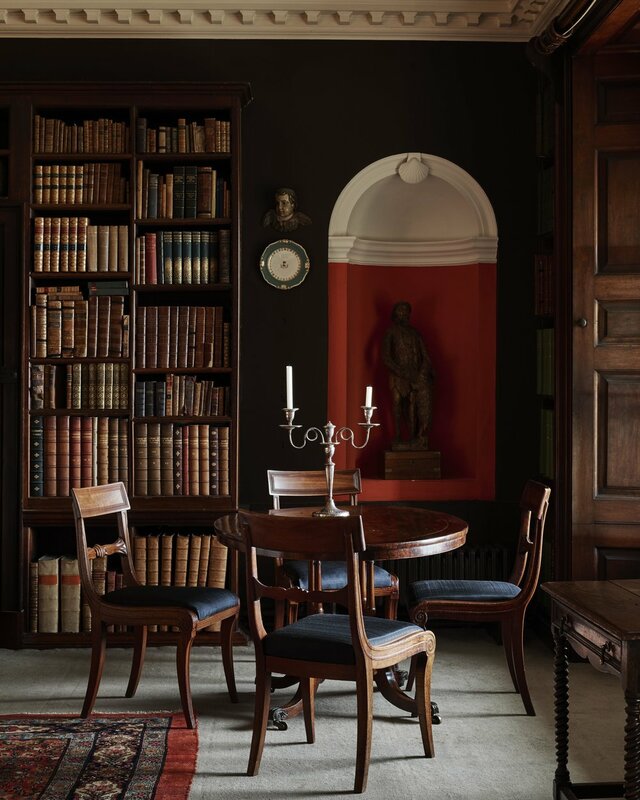 The house was reoccupied in the early 20th century by the 5th Earl, but having no male heir, left the estate to a distant relative who became the 7th Baron Walpole, the father of the current Lord Walpole. In 1952, a fire started on the third floor of the Hall gutting the whole attic floor. The water which put out the fire also did grave damage, encouraging dry rot in many of the timbers. The benefit, however, was that the second floor and the roof were completely restored and useable by 1954. Robert Walpole the 6th Baron Walpole had lived at Wolterton but his son, the current Lord Walpole, and his wife continued to live at Mannington Hall and Wolterton was unoccupied until Peter Sheppard and Keith Day bought the estate in 2016. Since then, many of the estate buildings have been restored and the park rejuvenated. 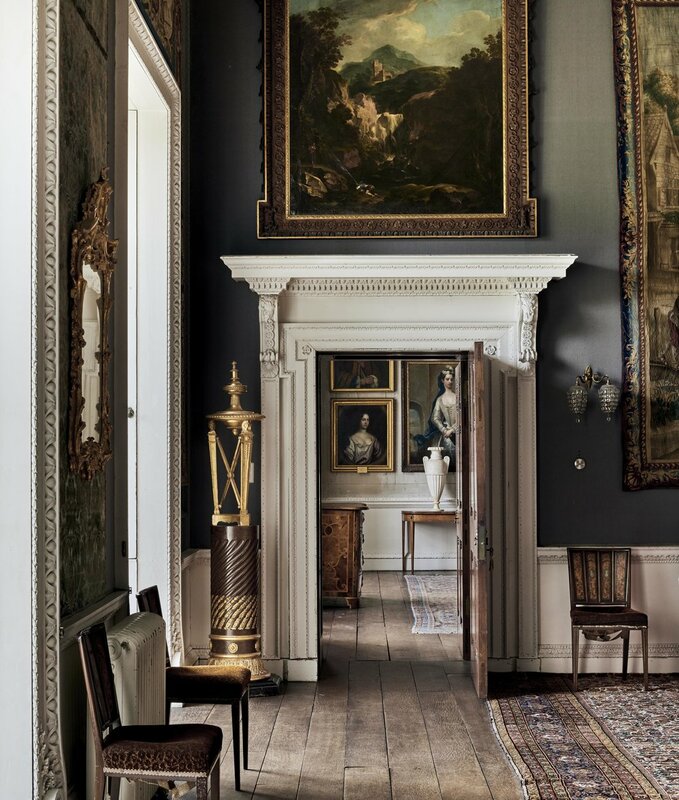 The portrait of King George I, given by his Majesty to Horatio, along with other portraits of the royal family, still hangs in the state dining room at Wolterton.